Starting from January 28th, there will be a new structure for investments in loans from Russia. This new structure will be implemented due to changes to the current legislation related to consumer loans and microfinance in the Russian Federation since the new law is limiting the assignment possibilities of consumer loan receivables. Mintos investors will still have the opportunity to invest in loans from Russia, by investing in loans issued by Mintos Finance Estonia OU (Mintos Group Company) to one of the Russian loan originator’s affiliated company. The repayment of loans issued by Mintos Finance Estonia to the loan originator’s affiliated company will be pegged to the repayment of a respective loan issued by the loan originator’s affiliated company to the loan originator. This loan, in turn, will be pegged to the repayment of the respective loan issued by the loan originator to the borrower. Mintos Finance Estonia loans will be directly secured by a pledge on claims arising from the loan originator’s loans issued to borrowers. In the case when the borrower’s loan becomes delinquent for 60 days or more, the loan originator’s affiliated company will ensure the buyback of the claims on this loan from investors. Mintos has also established the new structure to provide investors with the opportunity to invest in loans issued by Russian loan originators that currently do not have an affiliated company (Dozarplati, Lime Zaim). This solution offers investors the opportunity to invest in loans issued by Mintos Finance Estonia OU to Mintos Finance SIA, both Mintos Group companies. The repayment of each loan issued by Mintos Finance Estonia OU to Mintos Finance SIA will be pegged to the repayment of a respective loan issued by the loan originator to its borrower. Mintos Finance Estonia loans will be secured by a pledge on claims arising from the loan originator’s loans issued to borrowers. Should the borrower’s loan become 60 days delinquent, the loan originator would ensure the repayment to Mintos Finance of the respective part of the loan received from Mintos Finance in full, together with accrued interest and the loan originator would ensure the buyback of the claim on Mintos Finance Estonia-Mintos Finance loan from investors. How does this affect existing investments and loans on the Mintos marketplace? 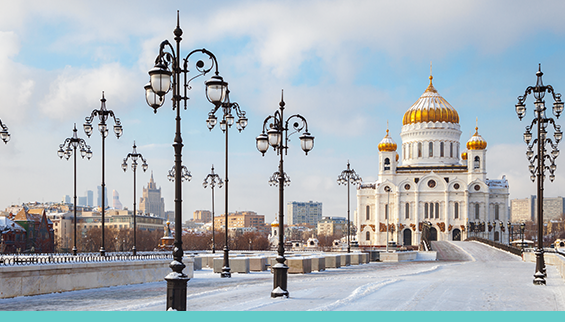 Investors making investments according to the new structure will still have exposure to the loans issued in Russia. Previously, investors had a direct claim against the final borrower. In the new scenario, investors will have a claim against the loan originator’s affiliated company (Kviku and Metrokredit) or, in the case of Dozarplati and Lime Zaim, loan originators will provide a buyback guarantee. In both setups, loans will be secured by a pledge on claims arising from loan originator’s loans issued to borrowers. Because the investments made will still be pegged to the loan performance of the underlying borrower’s loans, current Auto Invest functions for investing in loans issued in Russia will remain valid for loans placed on the marketplace under the new structure. If the change in investment structure affects your investment preferences, please be sure to adjust your Auto Invest settings accordingly.